Sterling Magee experienced the music industry’s exploitation of Black musicians first-hand, so he walked away to play on Harlem’s streets for ‘his people’. Reborn as Mr. Satan, he spread his gospel of freedom and became a New York City legend. When a white Jewish scholar and musician named Adam Gussow asked if he could join him one day, both their lives took a powerful turn. 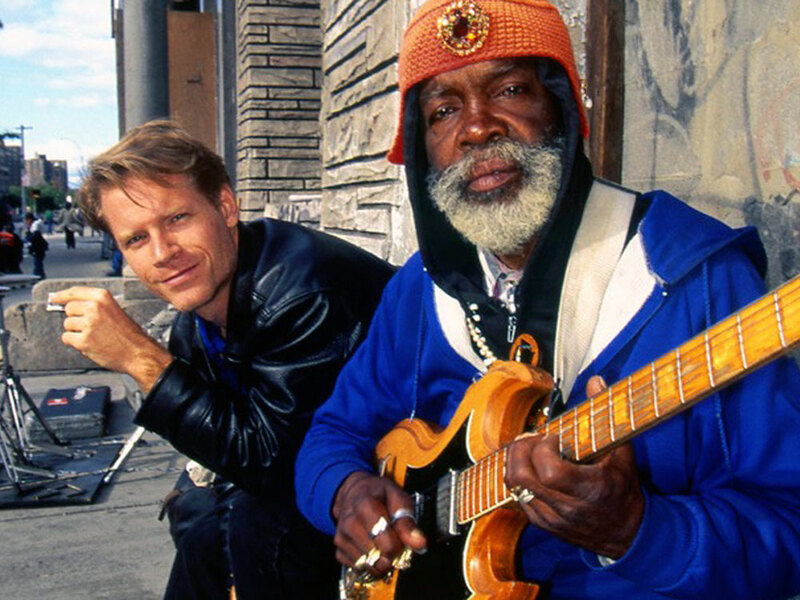 Adam put aside his ivory tower existence to play in the streets, and Sterling forged a sound that thrust him back into the spotlight. But life on the road took its toll on the duo, and Sterling suddenly vanished without a trace. The separation would test both men’s courage, and their journey to find each other again a tale of tragedy, survival and miraculous rebirth. Satan & Adam is a celebration of the transformative power of music, and the bonds that develop when worlds collide. Director V. Scott Balcerek pulls together over two decades of documentary footage to chart the duo’s trajectory from busking in the streets of Harlem to performing in concert halls and stadiums, depicting the challenges they both had to overcome to keep their friendship alive. Please note that we are currently upgrading our ticketing system and will require all online account holders to set up a new password, after which you will be able to manage your account online. We thank you for your patience and apologise for any inconvenience caused.